Is being in your immediate environment hindering your ability to adequately address your addictions? Perhaps it is time to consider joining the increasing numbers of Australians, Americans, and Europeans who are traveling abroad to seek treatment. It is likewise important to know some key factors to look for when considering overseas rehab options. If you are from a Western country such as America or Australia and have considered traveling overseas (to Southeast Asia, for example) to seek drug or alcohol addiction treatment, you are not the only one. There is a growing number of people from the West who are traveling overseas to seek treatment for their addictions. Australians, for example, are choosing Thailand as their top destination country for drug rehab. What is driving the rise in popularity of overseas treatment programs? Sometimes, those seeking treatment want to avoid long waiting lists in their own country, and choosing an overseas rehab program often results in more immediate admission. In most cases though, those seeking treatment want to remove themselves from their enabling environment (and social network), hoping to eliminate the triggers that encourage them to use. Without these temptations, they can focus better on their addiction recovery. 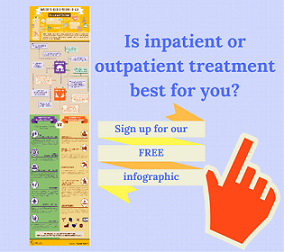 The next important step to take is assess your available treatment options. By knowing what to look for in an overseas rehab center, such as details related to whether the treatment center is licensed, overall information about the treatment program, available facilities and medical support, international reputation, and the refund policy, it’s more likely you will achieve lasting success. The first thing you should look for when trying to find the best drug or alcohol rehab overseas is whether the treatment facility and staff are licensed. Of the six rehab centers in Thailand, The Cabin Chiang Mai is the only one that has been licensed by the Thai Ministry of Public Health. A government licensed facility will ensure you that its operation is legitimate and that the treatment program has the capacity to deliver the claimed results. Also, the fact that a rehab is licensed vouches for the quality of its staff. Clinical staff should all be properly trained and accredited by the overseeing professional body in the country where they received their training. Choosing the location where you would like to receive treatment can be a challenge. Most people from Western countries tend to prefer places with a tropical climate, as weather is known to affect one’s mood. Warm temperatures and sunny skies generally elevate the mood, while cold temperatures and clouds depress it. Some inpatient rehabs include outings as part of their program, so you could see your rehab trip as also an opportunity to explore a country of interest. Also, do some research on your target country’s general medical infrastructure. Do they have hospitals of international standards nearby your desired rehab center? If the country attracts a significant amount of medical tourists, this can be a general indicator that medical safety in the region is practiced. It is important to do your research. If you wish to receive world-class treatment for your addiction problems but on a smaller budget than drug treatment programs in the West, Thailand is one of the best countries to consider for reduced cost drug treatment. Many international patients from countries such as Canada, Australia, the United Kingdom, and the United States have traveled there to take advantage of modern addiction treatment at a cheaper price. This cost-effective factor of Asian based rehabs allows everyone to have a chance at building a foundation for a successful and lasting recovery without being charged exorbitant rates. Just because the drug rehab center costs one-third of the price you would expect to pay in Western countries does not mean that it is of lower quality or is less effective. Generally speaking, the lower cost of living in these countries allows these facilities to operate at international standards and offer luxurious facilities at a local price. According to many reports, the high quality of treatment and accommodation offered in Asia at a fraction of the price charged in the West has begun an “overseas rehab trend,” and Thailand will likewise continue to rank high on the list of preferred destinations for addiction treatment. If you are planning to enroll in an inpatient drug and alcohol rehab program, you will be living with other people who are struggling with similar addiction problems, and this is a reason why the accommodation and facilities matter. As you will be living at the rehab for a period of time, you should choose a treatment center that offers a secluded and peaceful environment with all the comforts to help you relax and shed your worries so that you can focus on your treatment. You should find out exactly what facilities exactly the rehab offers. For example, do they offer a swimming pool or communal areas for relaxation purposes? Do they offer yoga or meditation classes to help you recover more holistically? When you are looking at a rehab facility, it is important to find out how many patients they have treated in the past and if the success/treatment completion rates are high. The next question would be how did they help their patients achieve their goals? What are the special programs they offer to ensure high success rates? For example, does treatment include addressing co-occurring mental health issues, such as anxiety and depression? This is an important treatment factor because more than 50% of addiction sufferers are diagnosed with co-occurring disorders. Also, holistic programs have shown very good results as they address both the mind and body. If you find out that their treatment methods fit your personal needs and goals, there is a better chance of you being able to achieve complete recovery. The points addressed here are some of the essential factors that you need to consider when looking into overseas rehab options. You might have specific preferences that are not covered in these pointers, and it’s important to cover these too when making your decision. Previous PostHigher Rates of Alcohol Dependence Linked to Blue Eyes?